IMPAK offers high absorbent solutions for elevated humidity, moisture, ocean container shipments with potential risk to container rain or cargo sweat, extreme dew points, and other relative damaging effects of moisture. Our desiccants are environmentally safe and compliant for food or drug application. The desiccant inhibits the formation of mold, mildew and corrosion of materials. 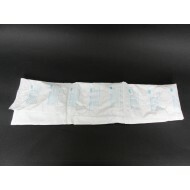 This is an excellent absorbent for rail, ocean or air shipments to ensure that agricultural, furniture, auto parts, pet food, textiles, corrugated boxes or other items are not damaged due to moisture. It’s also ideal for use in conjunction with marine vessels (boats, yachts, etc.) and RV’s to ensure your food or belongings are not destroyed by weather factors. 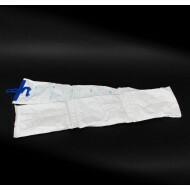 125 gram x 6 bags Cargo/container desiccant with adhesive backing in Tyvek (12 strips/case) Sorbe..
125 gram x 6 bags cargo/container desiccant with hook in Tyvek Sorbent: 250% moisture absorption ..